NRW engaged Melchor Contracting to deliver a haul road rail crossing (overpass) consisting of mechanically stabilised earth walls and a steel bridge deck crossing an operating railway Supply Labour and all concrete plant for bridge deck pour for Rio Tinto. 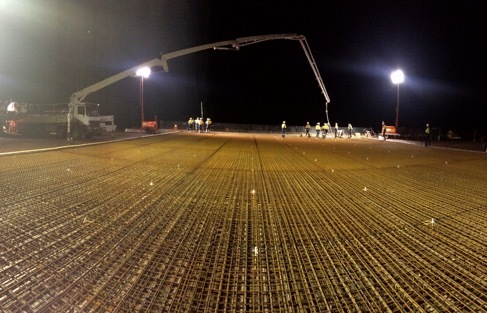 The team flew to site on the previous day, poured and finished the deck and flew back on the same day. A great achievement and an efficient solution for our client.